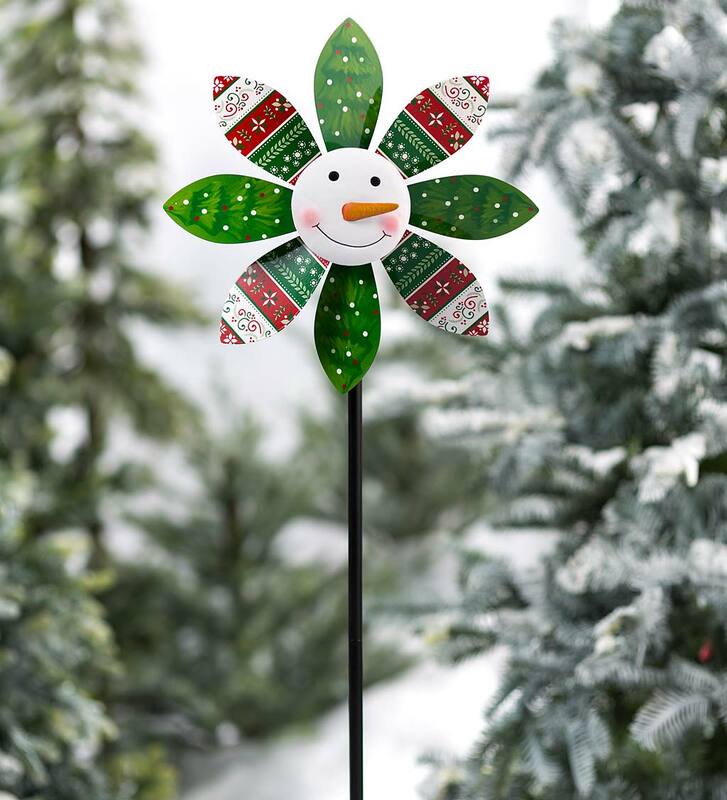 This Holiday Snowman Spinner is fun, festive and affordable. It makes a great gift for someone special or a fun treat for your own yard. With its medium size, this Spinner won't overpower your landscape. It will add just the right amount of seasonal style and color to your walkway, flower bed, garden or patio space. The center is stationary, while the rotors spin. Metal with a printed design and high-gloss finish. 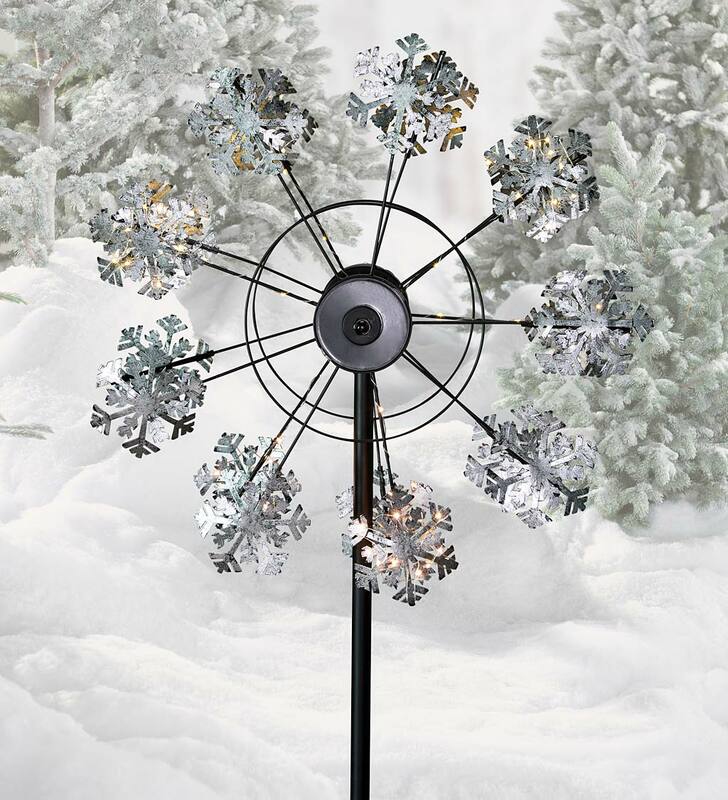 This silvery Solar Snowflake Wind Spinner turns your landscape into a winter wonderland by day and a light show by night thanks to the embedded solar panel and LED lights. 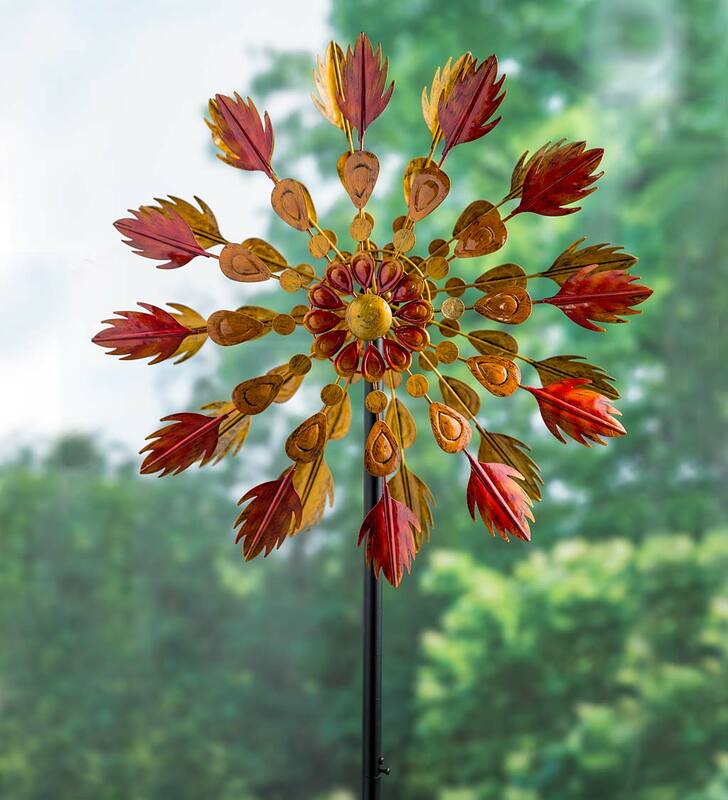 The breeze will set off a flurry of spinning snowflakes in your yard with this double spinner. At dusk, tiny LED lights embedded in the snowflakes light up and create a circle of light. Metal spinner stakes in the ground and looks wonderful in the yard, garden or flower bed. It's a great seasonal accent for the holidays or to welcome winter.